التصنيفات: Unisex, بوتيك, في كانتو, للرجال, للنساء. 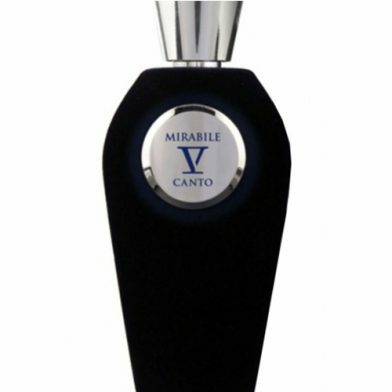 Mirabile by V Canto is a fragrance for women and men. This is a new fragrance. Mirabile was launched in 2015. The nose behind this fragrance is Paolo Terenzi. Top notes are vanilla, malt and opoponax; middle notes are rum, bourbon geranium, buchu or agathosma, lavender, rose and milk; base notes are vanilla absolute, patchouli, cloves, tonka bean and white musk.